Everyone knows that climbing Mount Everest is one of the greatest physical accomplishments man can achieve. It’s so difficult, in fact, that many don’t survive to tell the tale. And most of the climbers (150 or so of the 216 deaths) who didn’t make it are still on the mountain. By 8,000m, oxygen is scarce and physical exhaustion is standard. Using precious strength and breath to try to tow incapacitated Death Zone climbers back down to a survivable altitude is almost certainly suicide, even for experienced sherpas and mountaineers. That’s why bodies are left as they fall. In 2006, British mountaineer David Sharp gave Green Boots company in his cave when he ran out of oxygen. Some reports say more than 40 other climbers passed Sharp while he was still alive but didn’t help. Unwilling or unable? That’s been a matter of debate ever since. Also still on Everest: George Mallory, the English mountaineer who disappeared during the 1924 British Mount Everest Expedition. His body wasn’t found until 1999. The deadliest day on Everest was May 11, 1996, when eight climbers (including Green Boots) never made it back to Base Camp. Why it was such a fatal day is still in dispute, but most experts think several factors were at work: the sheer number attempting to summit that day, companies leading unqualified climbers to the top, and even freak weather that caused the oxygen to be about 14% lower than usual. Whatever the causes were, one thing is for certain: most of those climbers are still on Everest, eternally caught in the climb. 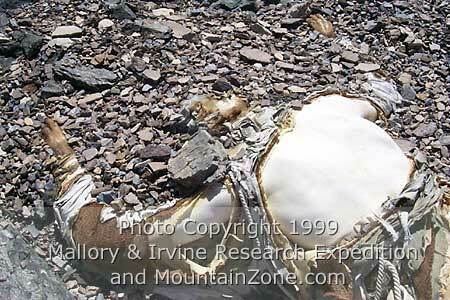 Note: there are a handful of pictures out there of the bodies that scatter the mountain, but not as many as you might think. Most experienced climbers are extremely respectful of the ones who died before them, and though they may have taken pictures, they have chosen not to share them. I didn't include pictures with the story because I think you should be able to choose if you want to look at corpses instead of being surprised with one in the middle of a quick read. A Google search will bring up some documentation if you’re so inclined.